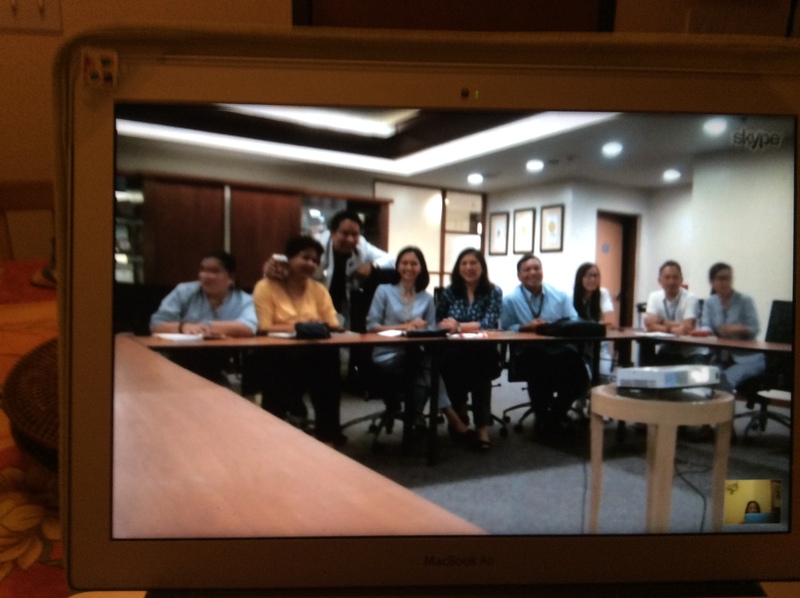 There’s nothing quite like going home over the ethernet to chat with a book club in Manila. Some months ago, my cousin Pinky Leido wrote with the wonderful news that her book club at Medical City Hospital had chosen to tackle The Mango Bride as their second selection of 2014 (they do five novels a year). They set a computer up in their Hospital board room and I sat down at our dining table with a glass of merlot. So at 11:30 Thursday morning in Manila (8:30 p.m. Wednesday in California), we chatted about Amparo, the tragic Beverly and Filipino food. This was by far the most relaxed book event I’ve done since the tour started in April 2013. Best of all, there was no travel time involved.